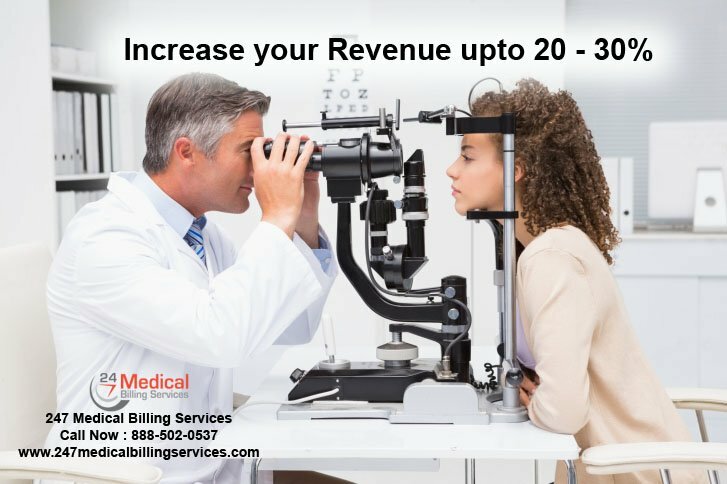 Optometry Billing Services in Alabama, California, Texas, Florida, Ohio, Illinois, Maryland, Michigan, Missouri, New Jersey, NJ, New York, NY, Oklahoma, Pennsylvania, San Antonio, Tennessee, Georgia, Houston. Eyes are the sensory receptors which help people to see with 576 megapixels. There are lots of nerves connecting with eyes to make our eyes visible. When a single nerve or blood vein is getting affected then there are more chances to get irritation with eyes and many issues regarding eyes. When the Optometry Billing Services are best then there are chances for your medical care industry to grow big and get many branches. There are so many eye related problems happening in current days, each of them have to be sorted out to make it as perfect billing. If the bill goes wrong then it may create bad impression on your medical care industry or create a bad mouth marketing to reduce your services. So why you are risking your health care industry with a simple but complicated sector of billing. Outsource your billing to us and we will take care that no mistakes happen to it. This code is for any examination of eyes without any abnormalities in eyes and vision. This is for general eye checkup. This code is for checking up with abnormal findings in eyes. This code is for myopia in any one of the eyes which is not specified in documentation. This code is for myopia of right eye. This code is designed for myopia of left eye. This code is for diagnosing presbyopia in eyes. They are quite happy because of no more errors in their billing services. More clarity is provided from our service team than any others in the market. There are multiple reasons which are available for making a claim go wrong or billing statements get confused but we have found solutions for all such things and have come up with various good standards of billing. Some of the issues are explained with our innovative solutions. For this we have solution to update claims with proper codings and better software. Likewise our billing services are getting benefited by many medical industries join hands with us to get improvised. These are just some of the reasons for choosing our medical billing service as better one.